Arena Riga, the biggest indoor venue in Latvia located in its capital Riga, has turned to Colosseo for upgrades with the industry leading solution. 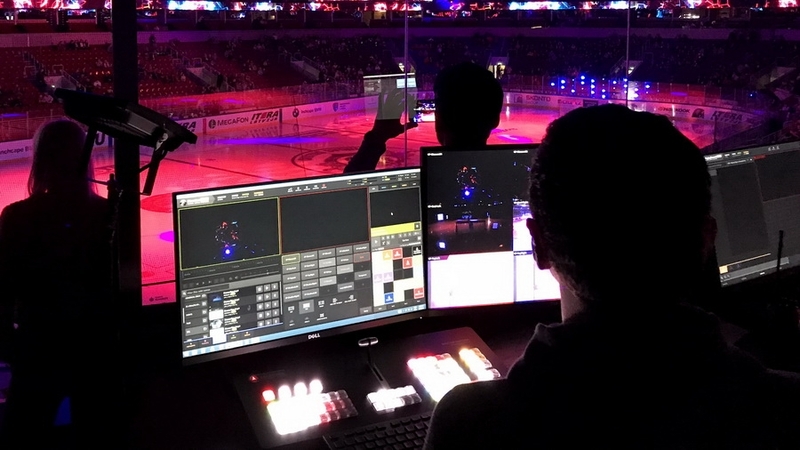 The task was to provide fans with an enhanced and attractive game show experience, optimize operational efficiency and have all multimedia integrated, synchronized and consolidated. Colosseo Single Media Platform took control over the complete LED display inventory and TV panels installed at the venue, delivering various digital content in native resolution to the center-hung video scoreboard, LED scoreboard displays, ribbon boards, perimeters and indoor lobby displays. Colosseo has also installed Interactive IPTV and Digital Signage solution on existing TV panels within the venue, covering the stadium corridors, lobby, food court areas and VIP lounges. Each TV panel can now be independently controlled with different digital content while pre-installed Interactive IPTV application allows VIP suite guests to watch instant replays from their desired camera feed, real-time statistics or to see all important information about the club or players. Advanced multisport timekeeping, scoring and statistics solution with preloaded rules and statistics for multiple sports which are played at the arena – such as Ice hockey, Basketball, Volleyball, Tennis, Hockey and Handball, also provides an interface in the Latvian language. 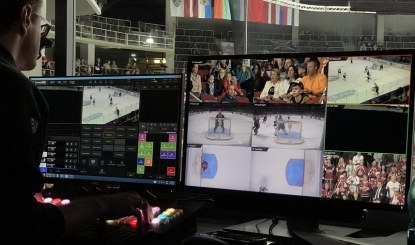 Arena Riga is the ninth KHL venue with the popular and proven Colosseo Video Goal Judge which helps referees solve controversial moments at ice level. Colosseo also supplied it’s special, rugged and wireless Colosseo Goal Cams. 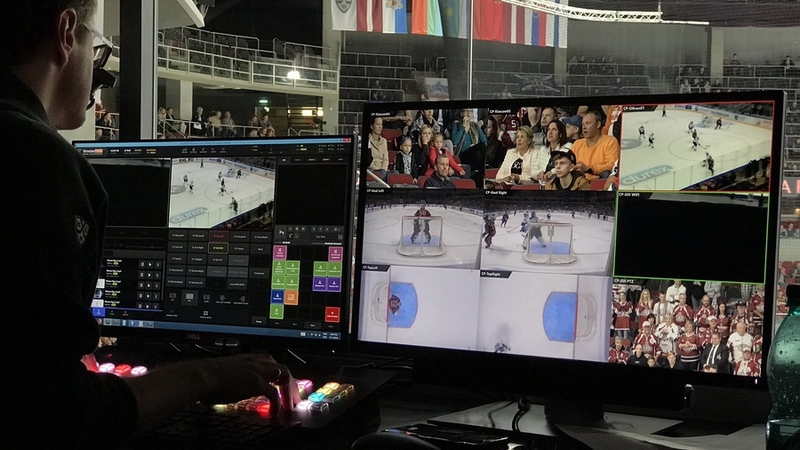 The first two events with Colosseo systems took already place in September – the Volleyball World Championship pre qualifier match between Latvia and Estonia and the KHL Latvian Railway Cup. Arena Riga has now significantly enhanced game presentation and fans are delighted by the arena’s new vibe while enjoying the new level of entertainment.